Daniel Sturridge scored a vital goal against Chelsea on Saturday to keep Klopp's Liverpool unbeaten after 7 games in the league. /League Cup during the week, the Birmingham-born striker has made a very strong case for himself as a regular starter in Jurgen Klopp's side in the future. 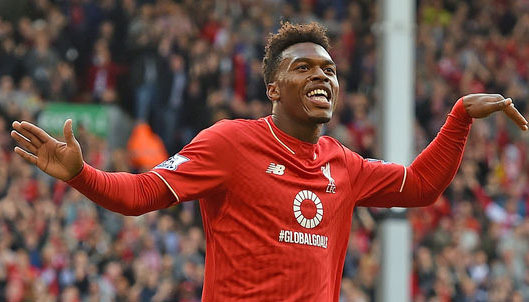 So where does 50-goal Sturridge start in Klopp's unchanging Liverpool team. Despite Mohammed Salah's slow start to the Season, you have to persist with him after his remarkable debut Season. Roberto Firminho is virtually undropable, linking attack to defence and scoring plenty of goals also. Sadio Mané has been a great buy for Liverpool from Southampton and while he has scored some very important goals I would have Daniel Sturridge as a starter against both Napoli in the Champion's League on Wednesday and against Man City on Sunday. Mané get his goals but he can also be a peripheral player for long spells, that's not to say that he is a bad player, but I just feel that Daniel Sturridge is getting back to his lethal best and should start as a striker in the upcoming games for Liverpool this week.